Nikos Karanikas played 20 matches this season. Since Nikos Karanikas came into world in 1992, to be more precise March 4th, the defender is even aged with Larissa's average player. Nikos Karanikas is a male defender from Greece, who has been playing for Larissa in Greece since May 18, 2018. 46% of Larissa's football players are left footers and so is Nikos Karanikas. 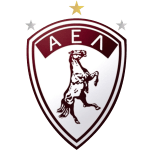 The club of Nikos Karanikas, Larissa, presently holds tenth position in Super League (Greece) and second position in group Gr. 8 of Greece Cup (Greece). Standing 1.76 meter high, he is tinier, when looking at the average height in his team. 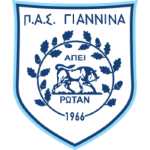 Before joining Larissa, he impressed at PAS Giannina FC. Nikos Karanikas reached the 137 appearances milestone as a professionl, the last one being eight days ago. His jersey displays the number 20. At 158.73lb, he carries 9lb less than the average Larissa player. Nikos Karanikas's record stay with a club is his current one with four years and 11 months. His shortest spell with a club currently counts twelve months in his latest side. Throughout his time as professional football player, he was sanctioned with a card 43 times resulting in a mean value of 3.58 cards per play time. This season he was given nine yellow and two yellow-red cards. In terms of winning, Nikos Karanikas's team was able to do so in only 20% of Super League's and in 67% of Greece Cup's matches. Apart from Nikos Karanikas, Manolis Bertos, Slavko Bralic, Stefan Zivkovic, Christos Gromitsaris, Aleksandar Gojkovic, Nikola Zizic, Theodoros Tripotseris and Vangelis Moras are also defenders of Larissa. While being substituted more in than out this season, the contrary occured the year before. Moreover, he shows 16 out and 35 in substitutions in total. Football League 14/15 (Greece) has been his best season so far since he played the most matches in his career. On the other hand, his worst season was Super League 18/19 due to him receiving most yellow and yellow-red cards of his career.